Rihanna is reportedly suing her father and accusing him of exploiting their last name. The singer filed a federal lawsuit Tuesday in California alleging that her father is trading on their surname — Fenty — which she made famous, for financial gain, reports PTI. 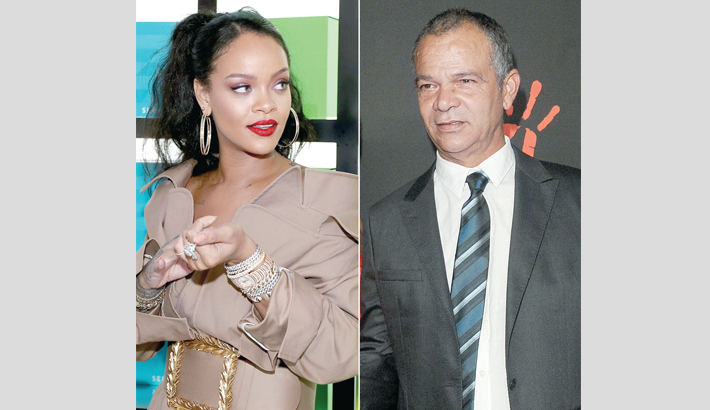 Rihanna, 30, whose full name is Robyn Rihanna Fenty, alleges in the suit against Ronald Fenty and his business partner, Moses Joktan Perkins, the two men "have egregiously and fraudulently misrepresented to third parties and the public that their company, Fenty Entertainment, LLC, is affiliated with Rihanna, and has the authority to act on her behalf." Rihanna, who launched the makeup line Fenty Beauty in 2017, is claiming in the suit that the two men engaged in false advertising and invasion of privacy. The singer has trademarked the name Fenty, according to U.S. trademark records. She is seeking an injunction on her father's use of the Fenty name and unspecified damages, according to the suit.